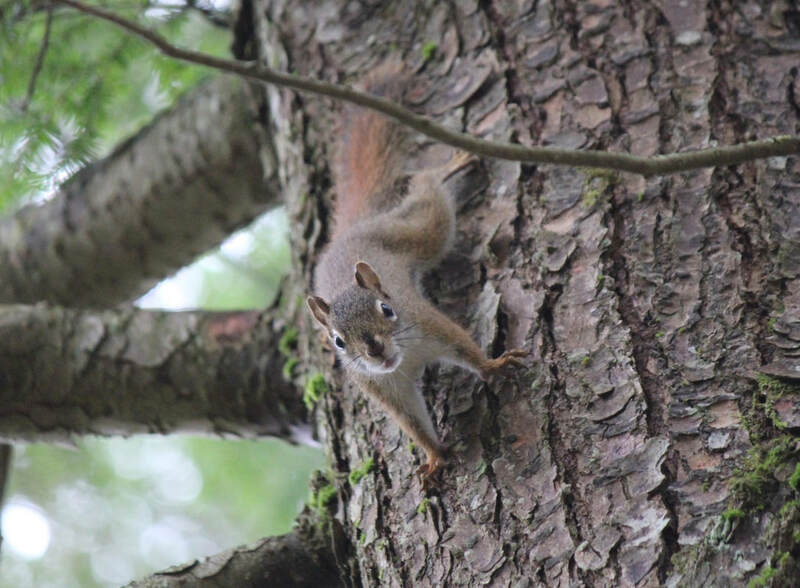 Red squirrels have red fur with a white underbelly, are smaller than gray squirrels, and a little larger than chipmunks. Their primary food source is seed from conifer cones but they also eat conifer buds and needles, mushrooms, willow leaves, poplar buds and catkins, flowers and berries. Certain mushrooms, that are poisonous to humans, can be eaten by red squirrels without harm. They are very territorial. Females build their nests with grass in tree cavities or branches. They will often have more than one nest and move their young between the nests to keep them safe.